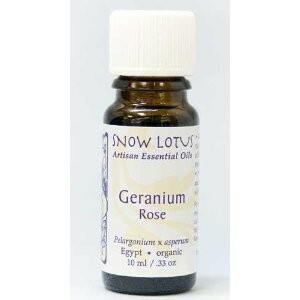 A rosy-sweet, somewhat fruity oil distilled in Egypt from fine rose geraniums. Relaxing and balancing at the same time, this oil regulates the mood and diffuses worry and agitation. 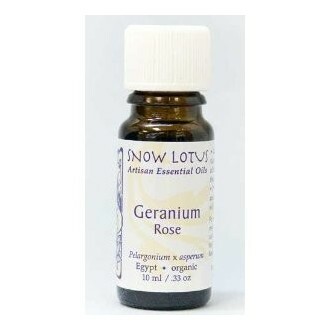 Geranium is also nurturing in states of grief, fear and low self-esteem. In a woman the oil can balance hormones in all phases of her life. Geranium is a supreme skin oil that topically balances oily, dry or mature skin types. Also important for repairing damaged skin.